1. VISIT THE GYM. Stop in and watch a class. Come to any of our scheduled classes. Watch what we do. Ask questions. And meet some great people. 2. TRY AN INTRODUCTION CLASS. We have FREE classes designed for new members on Wednesdays at 5:30 p.m. and Saturdays at 9:30 a.m. There is no pressure to join, just the excitement of seeing first-hand what we’re all about. Please show up 15 minutes early to sign a waiver and learn a little bit about the day’s workout from a certified trainer. If you can, please print the following Waiver and bring them with you. For the medical history and medication questions, only include anything related to training (asthma, something that increases your heart rate, serious allergies). Following the introduction class, you can proceed to the Fundamentals Program as described below. 3. STEP INTO OUR FOUNDATIONS PROGRAM. 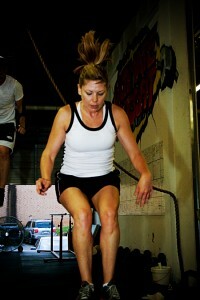 The Foundations Program is a two-week introduction to CrossFit as described below. This two-week program is mandatory for anyone new to CrossFit. The Foundations Program is an introduction to our gym and style of training, because the way we train is different. We want our new members to be comfortable with why we train the way we do, be able to properly perform the movements, and be prepared to step comfortably right into the group classes. Through the Foundations Program, we hope to provide new members with a base of knowledge that will help them reach their fitness goals. And each class will include a workout. After all, that’s why we’re here. Right? Ultimate CrossFit’s Foundations Program will expose you to the movements that we perform regularly in our gym and prepare you for success in our group classes. 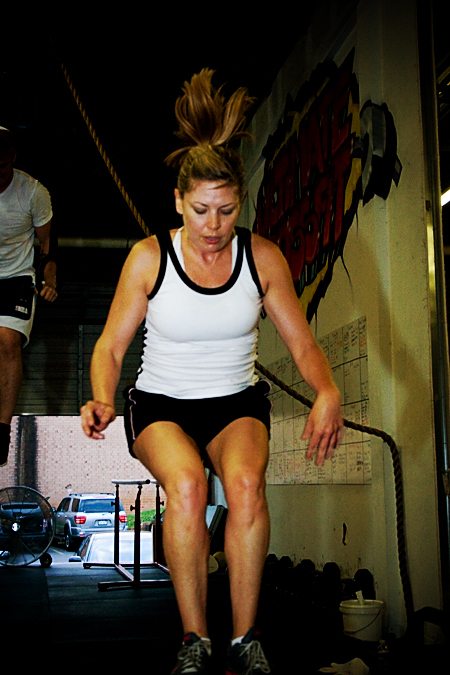 The course will also give you an understanding of the CrossFit methodology and our approach to fitness. By teaching you why and how CrossFit works and ensuring your ability to perform the movements safely and efficiently, you will be prepared to gain the maximal benefits from our program. After attending our free introduction class, email [email protected] to reserve a spot in an upcoming Foudndations course. If you are looking for more direction or have a particular goal you want to reach, our individual training can help you get there through coaching from one of our certified trainers. For more information on individual training, email [email protected]. Interested in one of our other programs? Find more information by following these links: Bootcamp, Endurance or Olympic Lifting.